Without even realizing it, people are being ReProgramed to use symbols as a REPLACEMENT for LANGUAGE. 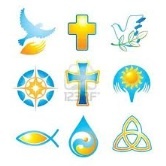 These Symbols are also able to Communicate Globally/ In other Words they Transcend all Language bearers. Where is this coming from and where is it all going? Are we being Trained like Monkeys to Respond to ICONS or SYMBOLS which are eventually going to Replace LANGUAGE all together? LANGUAGE is being down graded to simple short sentences/ as people Text, and respond with their Phone/ without REAL COMMUNICATION. Over all, People are being TRAINED to BARELY RESPOND using LANGUAGE. Why are you going FASTER, when you need to be going SLOWER? In other WORDS if you where in CONTROL of your own LIFE, you would never, ever need to be in a HURRY, you would always have Plenty of TIME for Everything, in FACT you would have TIME LEFT OVER. This INFACT is My Biggest Problem/ I am so in CONTROL that I am always WAITING on others, who are RUNNING FASTER AND FASTER, but always LATE??? Always Behind, but never realizing it is because they are going to FAST. They are going so FAST that they are Going in CIRCLES/ Passing up where they need to be. You can not COMMUNICATE with those who are in a HURRY, because they are never with you. They are always some where Else. WHERE they are going Next, or where they have been? FINDING People who are actually Living in the Here and NOW is RARE. Then you may Find someone to Communicate with, who is not in a Blood Hurry to get No Where.? If you would spend more Time with JESUS, then you would Find yourself in a TIMELESS TIME ZONE, Moving in Slow Motion, watching it all go by, Responding to things Easily. RESTING, while others are Struggling, Anxious for nothing. Infact you would never TEXT/ People who are Living in the TIMELESS, TIME ZONE are always Available, with TIME TO SPARE. Those who are constantly TEXTING, never Saying anything.